2. Clcik on 'Register' to register your organization. 3. Select a domain name for your organization. 4. At step-3, you can select, either to validate the domain or not to. 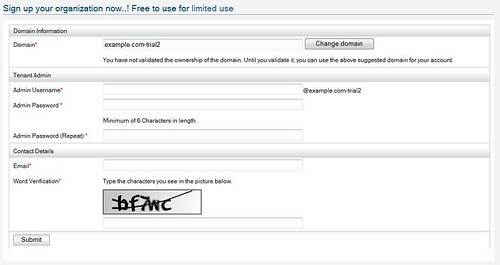 If you select to confirm the domain later - then you can do it after login in and clicking Account Management tab. 5. 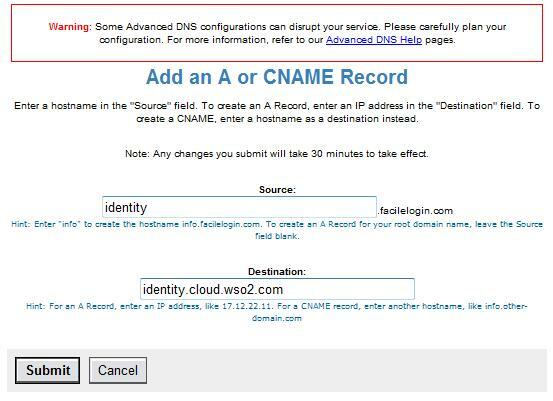 At step-3, if you select tp validate now, then you can do it either by uploading the given file to your domain or setting a CNAME. 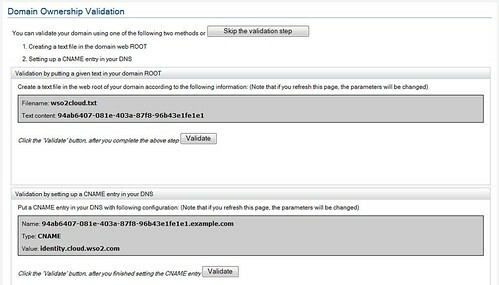 To see how to setup CNAME's please follow the corresponding documentations provided by your domain controller. 6. Fill account information. If you didn't validate your domain in step-3, you will notice that '-trial' being added to your domain name. 7. Select a theme for your organization. 8. Now you will get an email under the subject "WSO2 Cloud Identity - Registration confirmation" - click the link there to activate your account. With WSO2 Cloud Identity - you can provide your employees OpenIDs fall under your own domain name to be used with widely popular OpenID relying parties. 1. 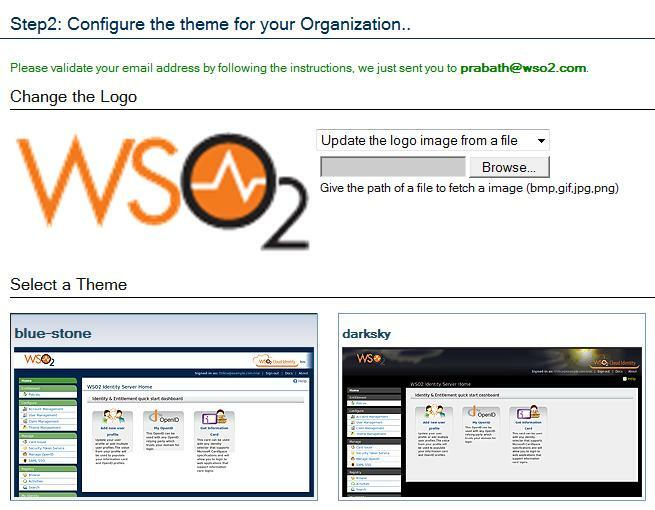 Register your Organization - visit http://identity.cloud.wso2.com. 2. Say, the domain I registered is facilelogin.com and a user there is prabath. 3. 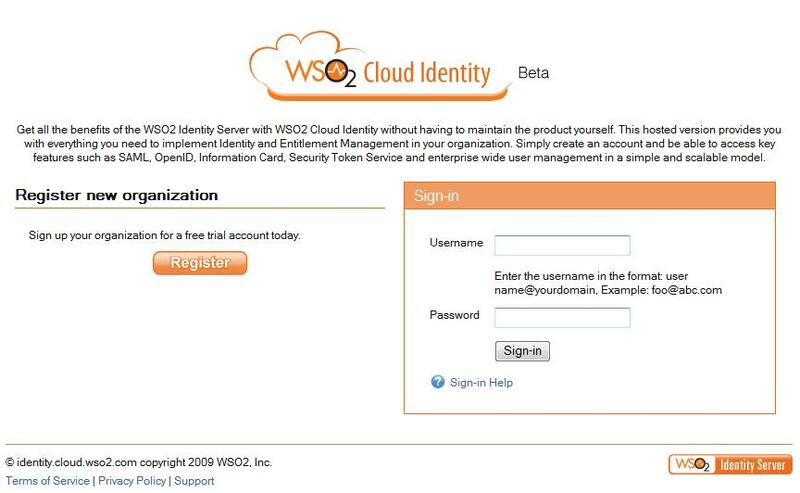 By default - with ZERO configurations, all users are assigned with an OpenID which falls under identity.cloud.wso2.com. To do that with GoDaddy domains - please refer this. 6. 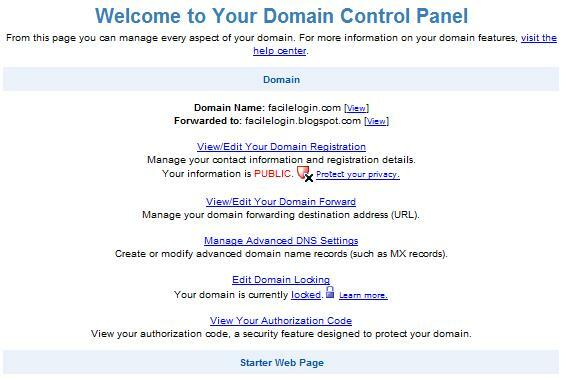 For Yahoo controlled domain here are the steps. That's it.. it will work now - allow some time for DNS propagation.